How I ended up with this scrub, right? Well, I visited my sister’s house and it was standing there so proudly, amid the stack of all daily skin care basics. Ironically, I never heard about this brand which invoked my curiosity as to why I am unaware of it and she’s using it; perhaps I am missing out on something miraculous. And the dilemma goes on until I inquire. So she bought these two at some scheme going on wherein she received two at 200 bucks!! One is an Apricot Scrub, which you see here, while the other one was a diamond complexion facial scrub. If you know me for a while (through blog posts of course *wink*) then you’d know I ain’t a fan of those fairness jazz. Now, let’s begin before you doze off with my mind’s wanderings! 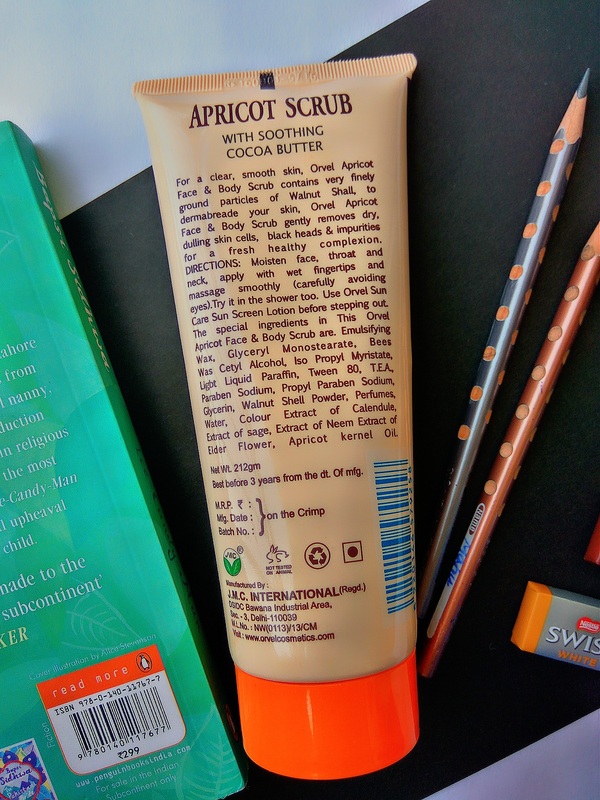 Description: For a clear, smooth skin, Orvel Apricot Face & Body Scrub contains very finely ground particles of Walnut Shell. To dermabreade your skin, Orvel Apricot Face & Body Scrub gently removes dry, dulling skin cells, black heads & impurities. Directions: Moisten face, throat and neck, apply with wet fingertips and massage smoothly (carefully avoiding eyes). Try it in the shower too. Ingredients: Emulsifying Wax, Glyceryl Monostearate, Bees Wax Cetyl Alcohol, Iso Propyl Myristate, Light Liquid Paraffin, Tween 80, T.E.A., Paraben Sodium, Propyl Paraben Sodium, Glycerin, Walnut Shell Powder, Perfumes, Water, Colour Extract of Calendula, Extract of sage, Extract if Neem Eider Flower, Apricot Kernel Oil. Price: INR 160 for Net Weight of 212 grams. Claims: Removes dead skin cells that lead to dull & blemished complexion. 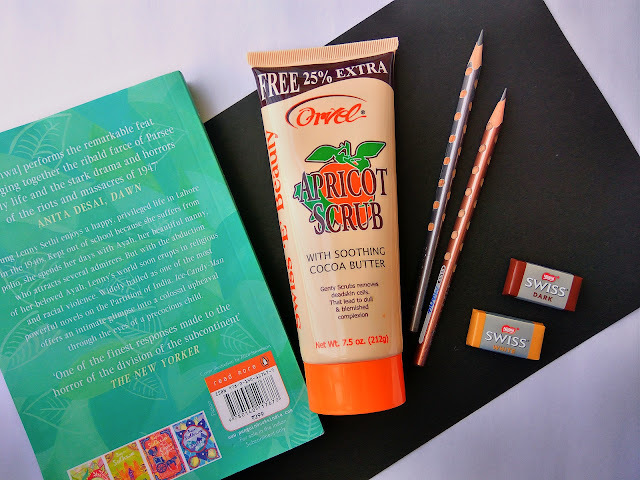 The Orvel Apricot Scrub comes in a cute pale orange squeeze out tube with screw-open cap. The tube makes it convenient to be used without creating the mess of inserting hand within a tub packaging and bringing it in direct contact of any bacteria or germs. It does really look pretty sitting on top of your bathroom racks because believe me not but my eyes perhaps that itself was the reason why my curiosities were awakened when I saw it in my sister’s house. 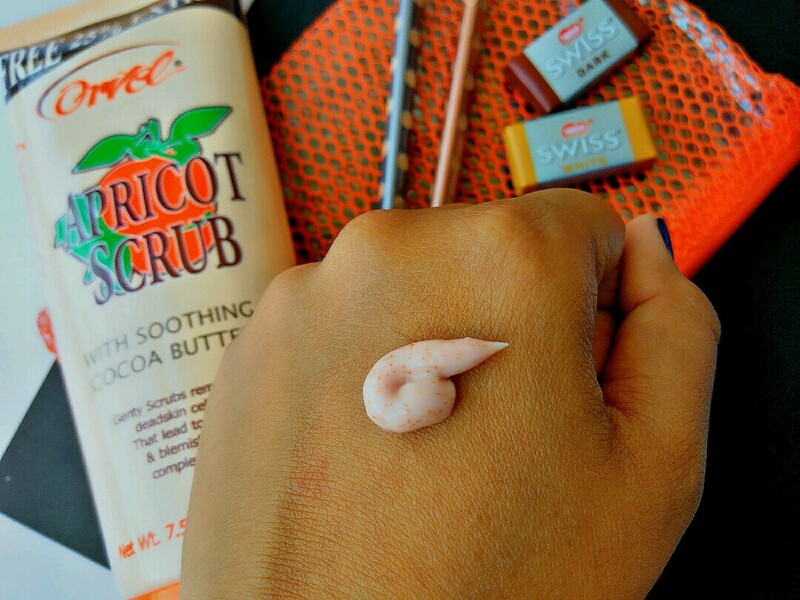 The texture of the scrub is similar to all the apricot scrubs that I have seen. 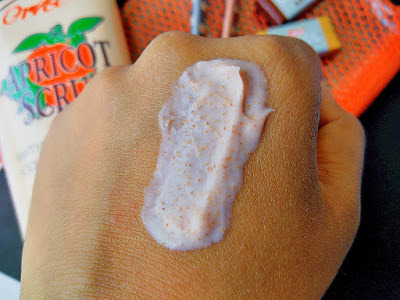 The base is cream based and small apricot scrub granules embedded in. What made it special was the fact that these granules aren’t too coarse so they help in mild scrubbing, making it appropriate for the face as well as for the body. Also, I have acne issues and one large pimple is still on its healing process and the scrub did not aggravate it. I am not really facial scrubbing kinda person because there exists no single day wherein my skin is flawless, even if it means one minute pimple. This was the reason why I never wrote a review on Johara Scrub which I received in my July Fab Bag. Currently since these attackers (pimples) are lulled to sleep, I tried the Orvel Apricot Scrub with fear in my mind. Since it has soothing cocoa butter, it does leave off the skin hydrated post scrubbing. There’s no redness caused as it is certainly mild in nature. Skin does slightly brightens up instantly but that’s obviously for a short span of time; as happens with all facial cleansers or scrubs. 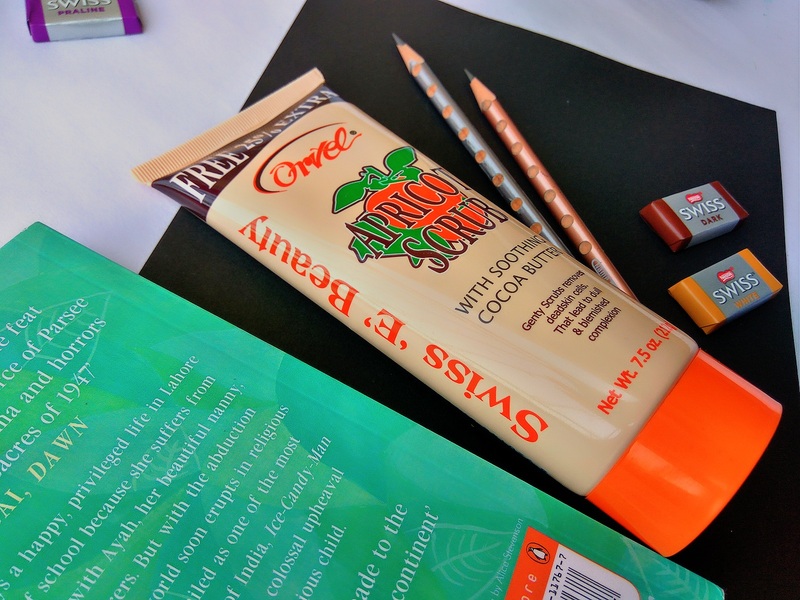 It might work perfectly well on the face but for the body it’s slightly milder. For dry skinned ladies, you still might need some moisturizer. But the normal to oily skin type people would not need an extra hydrating layer after the wash.